Sweet Bourbon - Blues On Sunday Live. 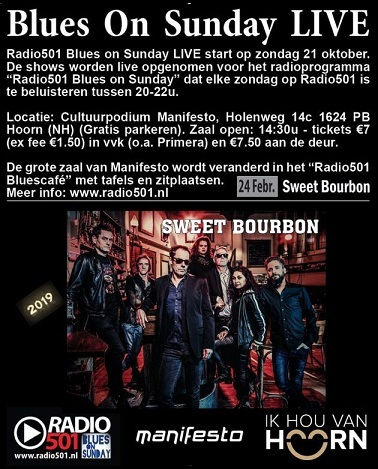 Radio501 Blues On Sunday LIVE start weer! !